Like many others nationwide, the following three dealerships had one main goal: build customer loyalty. Each wanted to ensure that the customer business they worked so hard to earn remained at their store, bringing owners back at each stage of the vehicle lifecycle. To do this, they knew they had to build strong relationships, but it was tough to know the best route to success. After consulting with their Affinitiv Business Development Managers, they realized a multi-channel approach could build aftersales engagement, convert out of warranty customers, encourage repeat visits and bring customers back one it was time to purchase. 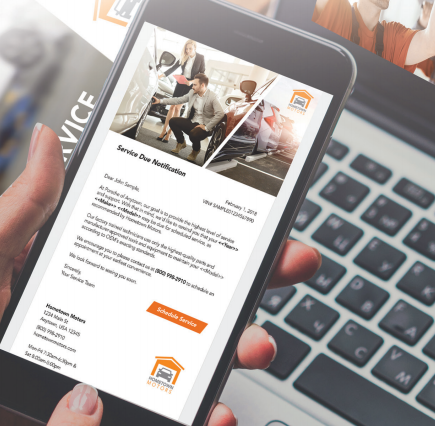 Relevancy was key – it was important that each touchpoint communicated the dealership’s message to the exact right person at the exact right time. Each dealership had a different budget, so it helped to have a flexible program with packages that best aligned with their needs. maintenance reminders, declines, past due messages, etc.